Hidden Hollow is a family run business with deep roots in the Central Valley’s wedding industry. Sisters Heather and Laura began learning floral design at a young age from their parents, owners of The Country Junction Flowers & Gifts in Fresno’s Fig Garden Village. 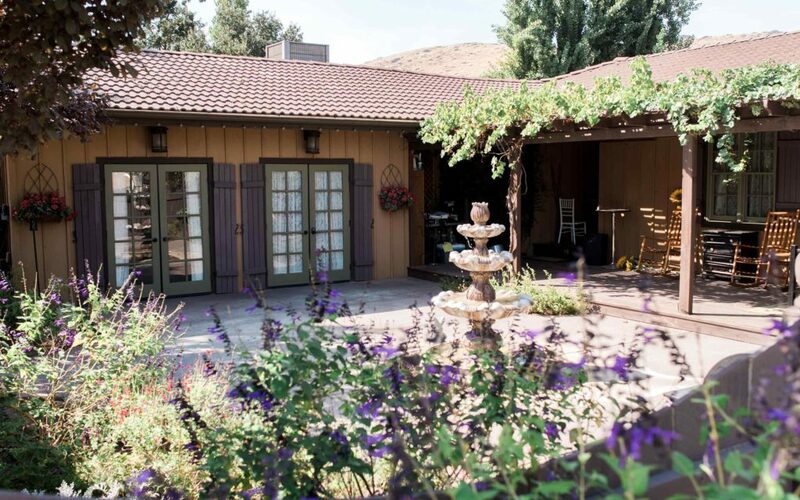 Decades of experience in the wedding industry have helped Heather and Laura, along with their families, shape Hidden Hollow into the ideal wedding venue. Their years of experience are reflected in the elegant details which can only be found at Hidden Hollow. From the beautifully decorated bridal suite to the sophisticated but relaxed atmosphere of the groom’s lounge, to the intimate and romantic ceremony sites and the open air feel of their climate controlled indoor reception venue, their attention to detail is surpassed by none. The Hidden Hollow family invites you to experience…natural beauty, timeless elegance.